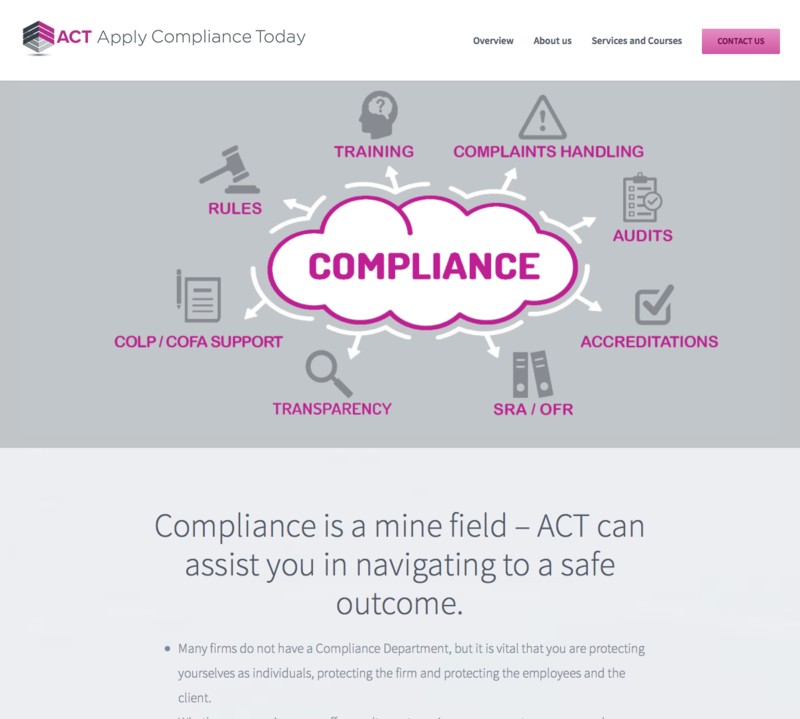 Apply Compliance Today (ACT) is a start up business born from great experience in the legal sector. 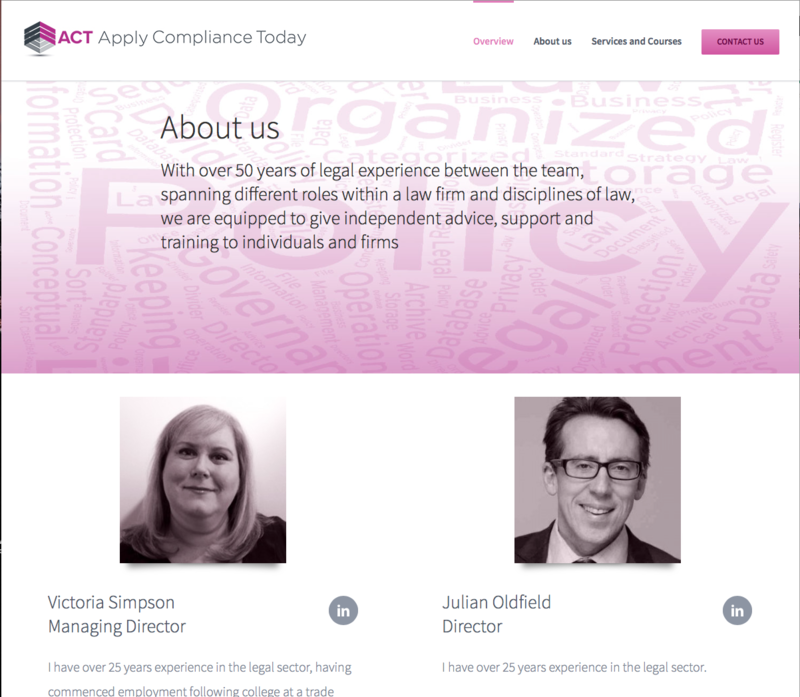 Even small legal firms need astonishing amounts of accreditation and systems conformity to both protect themselves and their clients and to aid marketability. The reality is that this expertise is difficult to manage within house without large overhead. Outsourcing to specialists means a law firm can concentrate on doing what they do best knowing the necessary codes of conducts are in place and being monitored. 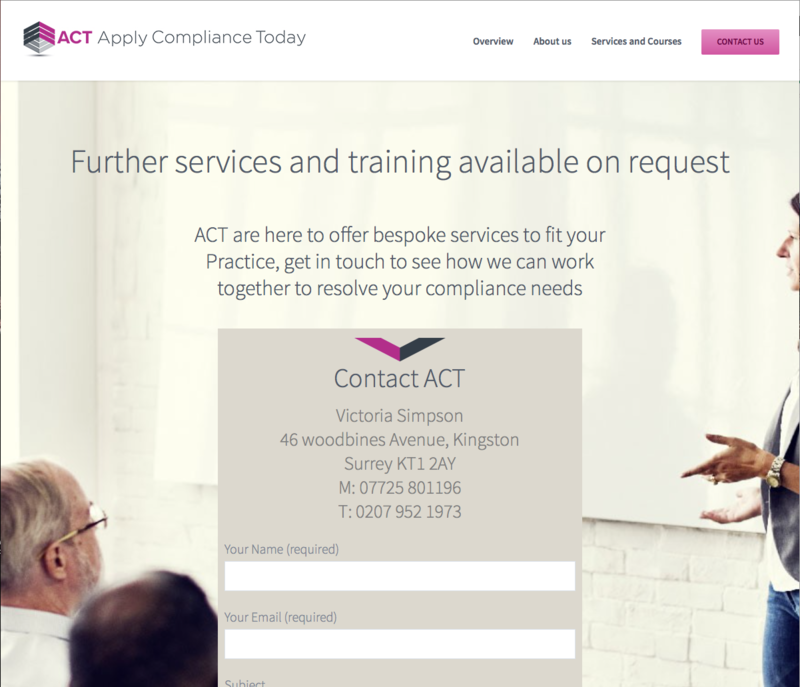 With a flexible range of services ACT is well placed for growth. We made the site using our default content management system (CMS) WordPress. Although the site is simple in structure right now, basically just a landing page, it has very sophisticated options built in for presenting products and downloads and managing multiple clients. The CMS is more complicated for this reason but with minimal training the client can add pages with the minimum of fuss.